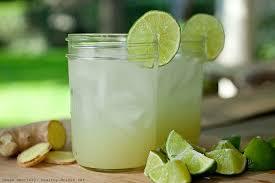 Drink lemonade to quench the thirst of the summer is the best. It also goes off thirst and lack of minerals to be out with the sweat hits. Lemon is rich in vitamin C, so it increases the body's metabolism. Free lemonade is taken without sugar calories. And if it is taken with honey in warm water early in the morning, it removes body weight. 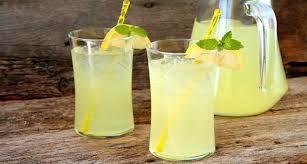 Lemonade recipe is very simple. You create it and flee from the blazing heat. In a large bowl with water and add sugar and teaspoon salt solution running in it. Cut lemon and then squeeze the juice out of seeds. Now the black salt and mix well. Now prepare your lemonade. Remove it in the serving glass and pour over crushed ice was a present.